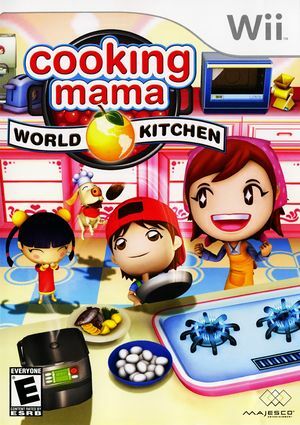 Cooking Mama: World Kitchen is a video game for the Wii. It was released on November 18, 2008. It is the fourth game in the Cooking Mama series. It was released in Japan as Cooking Mama 2: Taihen! Mama wa Ooisogashi! (Cooking Mama 2: Seriously! Mama is Very Busy!) and Cooking Mama 2: World Kitchen in Europe. The graph below charts the compatibility with Cooking Mama: World Kitchen since Dolphin's 2.0 release, listing revisions only where a compatibility change occurred. This page was last edited on 14 January 2018, at 10:46.